Some of the best ideas seem to be the simplest ones. 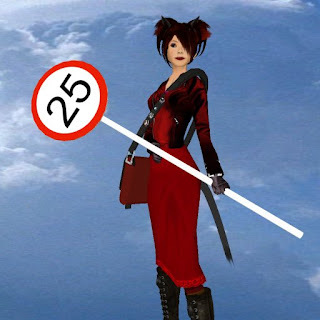 Honey Fairweather has come up with a way to work around the 25 group limit for all of us fashion mavens. She's created a group called "Fashion Consolidated" and the idea is truly a stroke of genius. For folks who constantly hit the group limits and have to decide which of your truly necesary groups to drop, this group is for you! The group is growing by leaps and bounds, over 500 members so far to date, and the vendor and designer participation is expanding. I've only been a member a short time, and I've already learned of a few new designers I didnt know before, gotten a few freebies I would have missed out on, and gotten some really good updates! Designers and vendors are limited to one notice per week so it's fairly spam-free but the amount of information is phenomenal. And, if you don't like the notices, you can always shut them off and peruse them at your leisure whenever you wish. And, if that's not enough, there's FREE CHEESE!